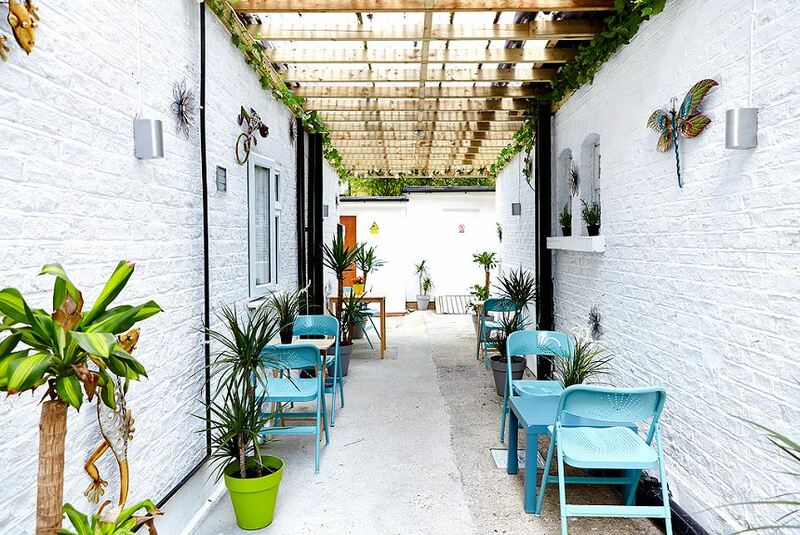 This boutique hotel and apartment residence is located opposite Finsbury Park and in the vibrant Haringey and Manor House area. Guests will be able to reach central London and the city within 15 minutes on public transport. United Lodge offers a variety of rooms and self-catering studio apartments. 24-hour security and toiletries. The studios and apartments feature a fully-equipped kitchen. Other facilities on site include a variety of breakfasts and snacks from our delicious menu. Facilities such as free luggage storage, ironing facilities and laundry are also available upon request. The property is a 4-minute walk to Manor House Underground Station (Piccadilly Line) and Haringey Green Lanes Overground Station. Finsbury Park Train Station is less than a mile away. The Emirates Stadium, home to Arsenal Football Club is 1.6 miles away and Alexandra Palace is a 10-minute train journey away.